While the US government expresses outrage over the brutality of Col. Muammar el-Qaddafi toward his own people, we’re missing a complex but significant wrinkle that ties Qaddafi to America’s cover-up of the true path to war in Iraq. In May, 2009, a man named Ibn Shaikh al-Libi supposedly committed suicide while being held in a Libyan jail. Al-Libi is a deeply, deeply interesting fellow. Back in 2002, he was tortured by Egypt under US direction. It appears that the reason the US government had him tortured was not to stop some imminent attack on the United States, but to generate alleged—and false— links between Al-Qaeda and Saddam Hussein that could justify invading Iraq. Al-Libi was captured and sent to Egypt, where under severe torture including waterboarding, he related what turned out to be false information about purported Saddam-9/11 links. Al-Libi later explained that he provided that material because that’s what his captors wanted to hear, and it ended his torture. More on this at The Washington Note, where former Colin Powell aide Lawrence Wilkerson weighed in. Given the enormity of what al-Libi’s revelations represent, then his continued presence and ability to witness the true background to the Iraq invasion made him a grave threat to the Bush-Cheney administration and the potential vulnerability of its leading lights to war crimes prosecution. 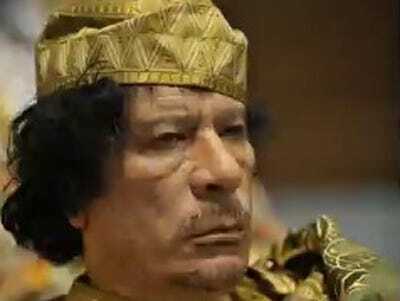 Thus, the fact that he suddenly “killed himself” while being held by Qaddafi’s police state at least raises the question of whether Qaddafi was doing a favour for the US. Of course, by 2009, when al-Libi suddenly died, Obama had become president—but it’s safe to say that deep, covert cleanup operations don’t end with an inauguration. With the world delighting in the abdication of the dictator Mubarak in Egypt and now the Libyan Qaddafi’s potential demise, the least we can do is examine the threads back to our own country. If we do not pay attention to these things, we are all culpable.